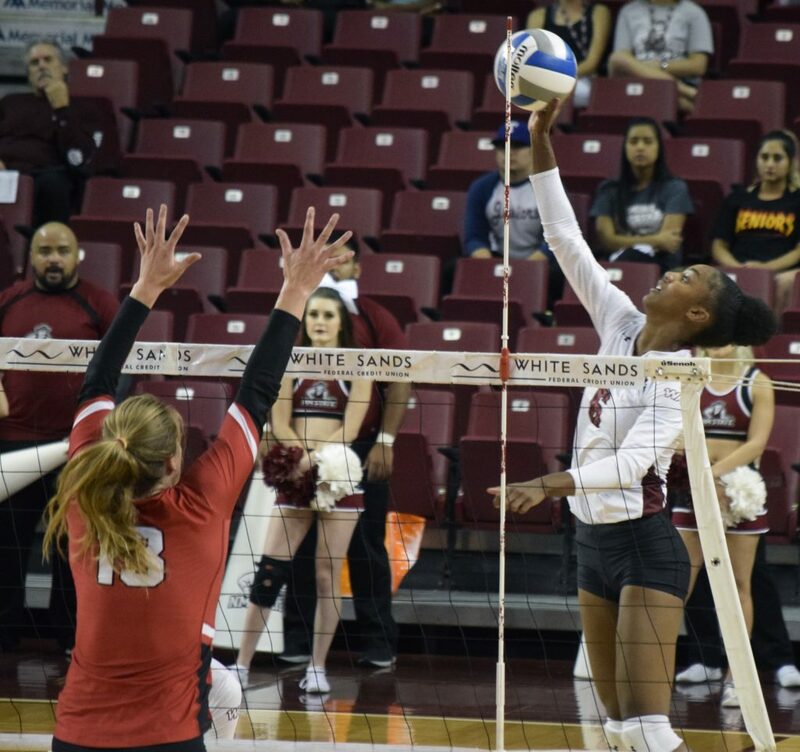 The New Mexico State volleyball team hosted Seattle University for its first home match against a Western Athletic Conference opponent on Thursday, Sept. 27, and the Aggies came away with their first conference win, 3-1. 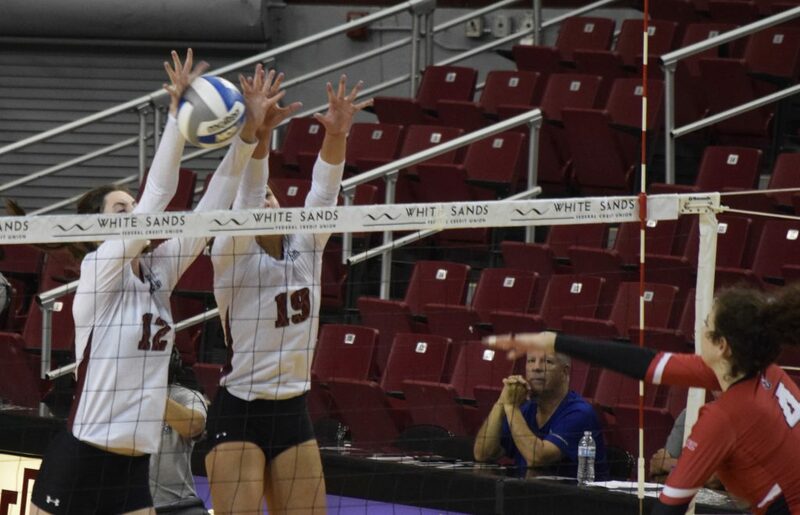 Seattle University started the match off almost to perfection with eight unanswered points. 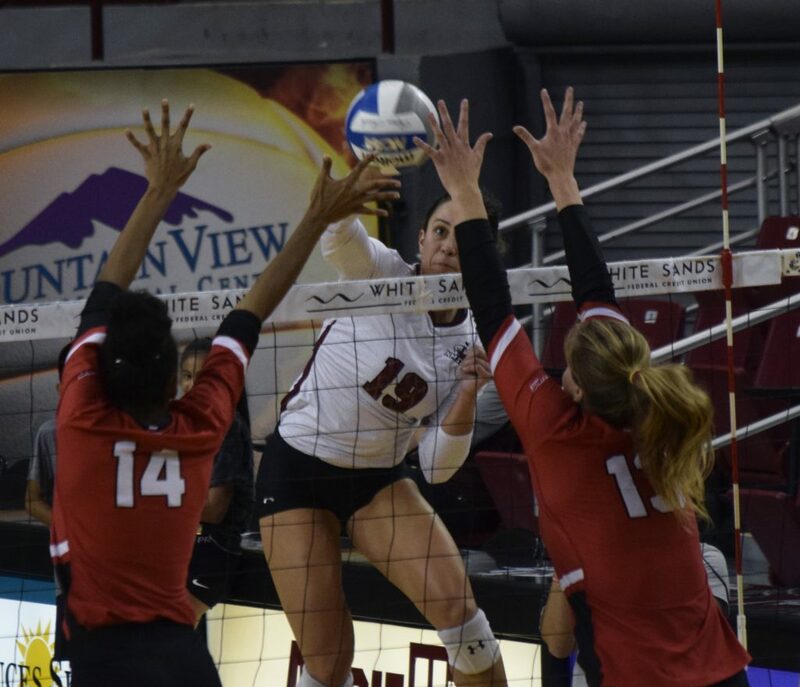 New Mexico State battled back and was able to tie up the first set, 13-13. From this point on, the two teams were scoring point for point. The first set was a nail-biter, with the fans getting on their feet every time the Aggies gained the lead. Finally, Seattle scored three consecutive points to win the first set, 33-31. 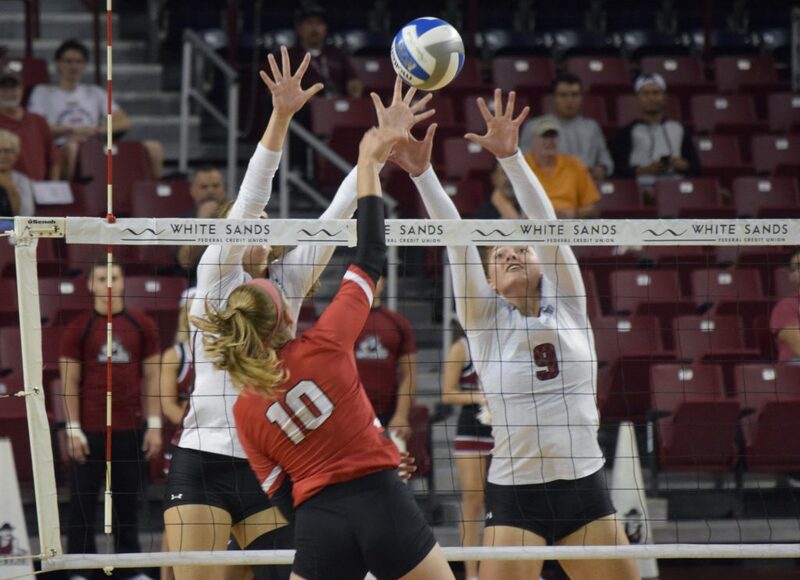 “When you dig yourself that big of hole, you know, you don’t win that set,” said NMSU head coach Mike Jordan. 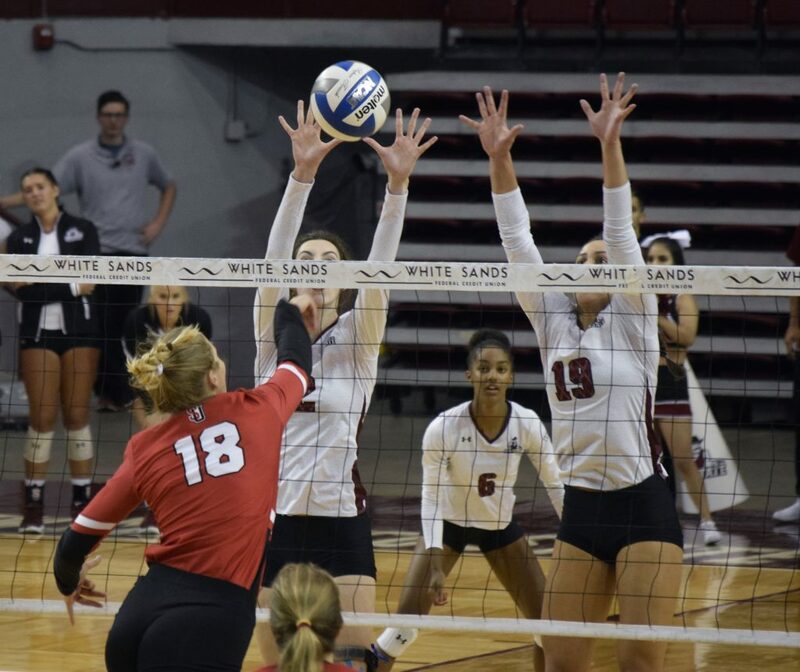 The Aggies and Redhawks fought for every point in the beginning of set number two. NMSU pushed ahead, winning by eight points, with the crowd cheering them on. 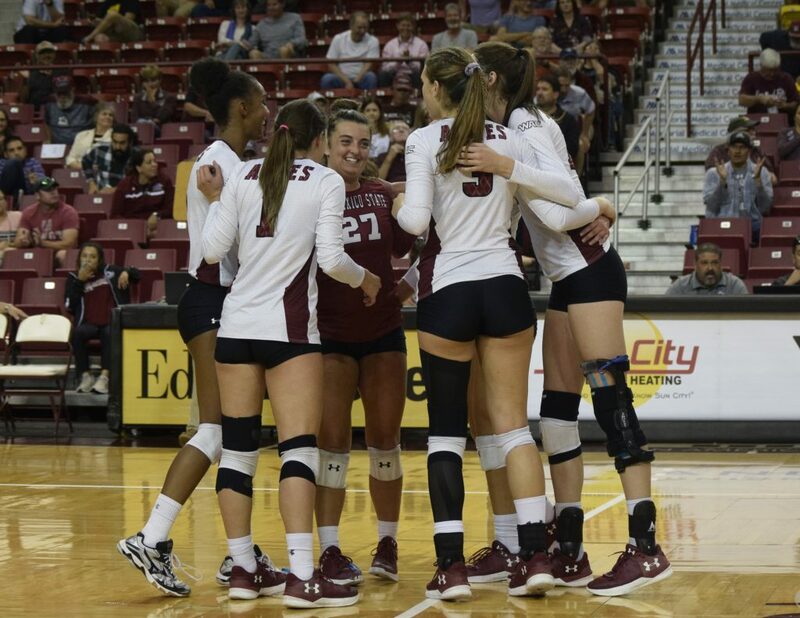 The fans appeared to be a factor in the Aggies’ offensive and defensive attack, which allowed them to win the second set, 25-17 over the Redhawks. Coming off the win in set two, the Aggies fired off their guns to force an early 12-4 lead over Seattle. After a Redhawk timeout, Seattle went on a 4-0 run forcing New Mexico State to call a timeout of their own. 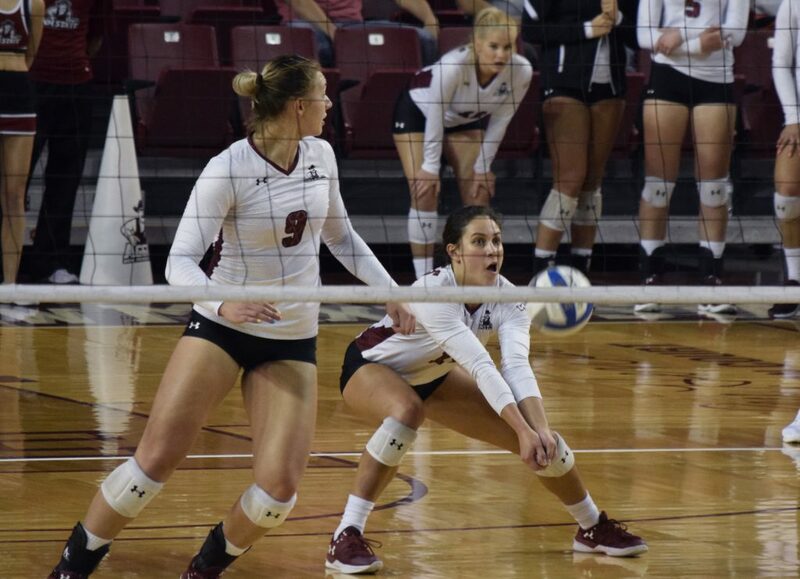 The Aggies showed greatness in both offense and defense in the third set garnering a double-digit lead. 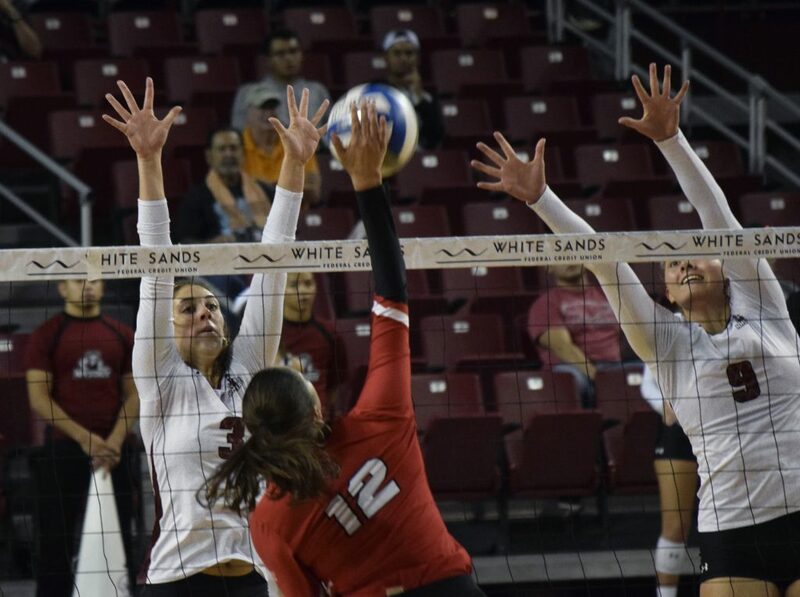 Keeping the lead, New Mexico State took home the third set, beating Seattle by 12 points, 25-13. The Aggies and Redhawks began the fourth set with a defensive battle. Seattle knew they needed to win the fourth set to keep the match alive and this kept New Mexico State on its heels forcing the Aggies to call an early timeout. 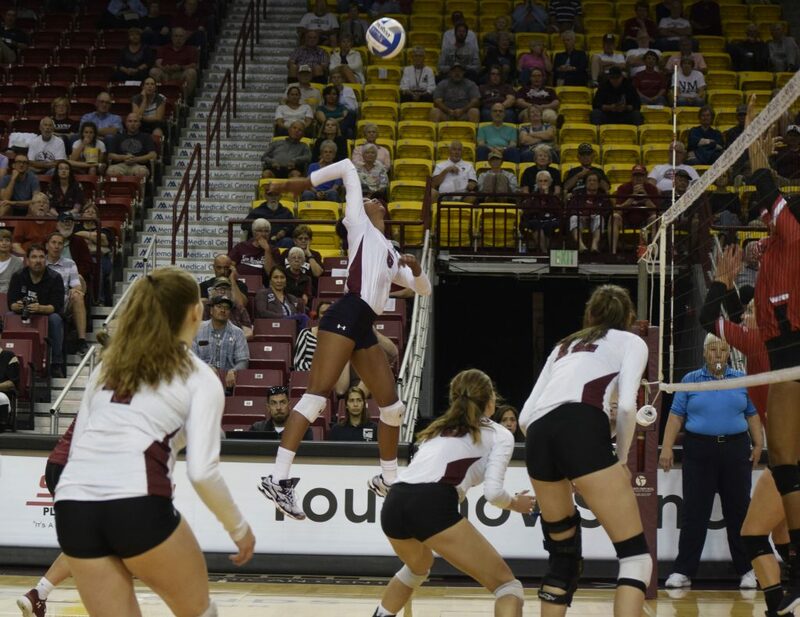 NMSU held a constant lead throughout the fourth set leading to an Aggie win, 25-17. 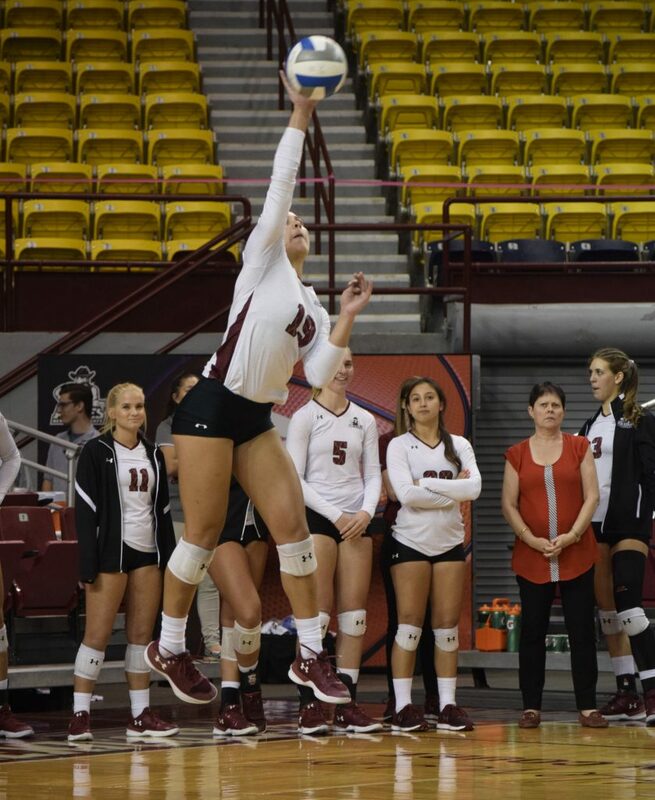 With this fourth set win, New Mexico State won the match, 3-1. The Aggies have a couple starters out with injuries, so that means younger players are having to step up and replace them. “You never feel like you have enough practice time when you have a young team,” coach Jordan said. New Mexico State now moves to 1-2 in conference play and 11-5 on the season. The Aggies next host the Grand Canyon University Antelopes on Saturday, Sept. 29, 2018, at the Pan American Center.